The present book is a collection of 9 essays, emerging from a long and intense research collaboration amongst scholars coming from different backgrounds and traditions. 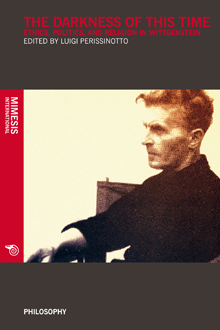 As the book subtitle suggests, these essays focus on the ethical, religious, and political aspects or dimensions of Wittgenstein’s thought, which are illustrated and investigated with reference to their complex interaction with Wittgenstein’s philosophical method and his conception of philosophical work, on the one hand, and with his conception of language and human agency on the other. Luigi Perissinotto teaches Philosophy of Language at University Ca’ Foscari of Venice. He has published widely on Wittgenstein and on philosophical hermeneutics. His publications include Le vie dell’interpretazione nella filosofia contemporanea (2002) and Wittgenstein. Una guida (2008); he is the co-editor of Wittgenstein and Plato. Connections, Comparisons and Contrasts (2013).